The Town of Calais’s Local Hazard Mitigation Plan draft is available to review for public comments. If you would like to review, you can download a copy of the plan here. Please contact Kim at mckee@cvregion.com or 802-229-0389 with any comments or questions. 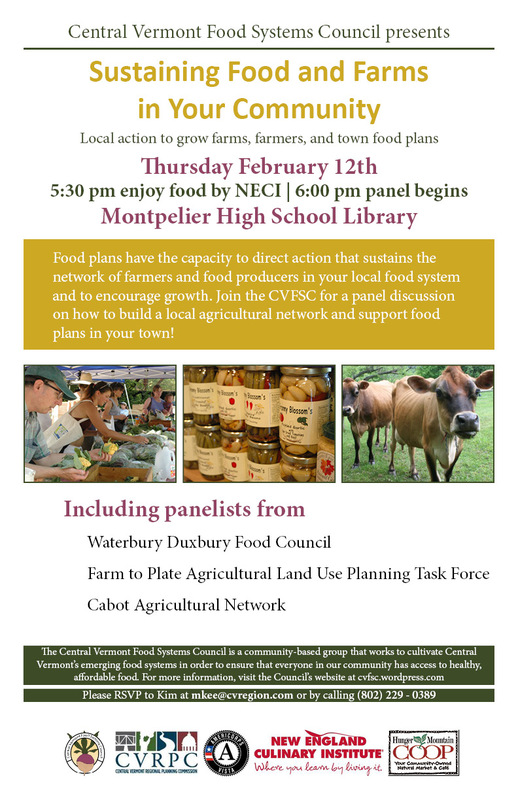 Join Central Vermont Food Systems Council at the Montpelier High School Library on Thursday, Feb. 12. The Central Vermont Regional Planning Commission (CVRPC) seeks an Executive Director. CVRPC serves 23 municipalities and 60,000 Vermonters by providing expertise spanning land use planning and zoning, transportation planning, emergency management, energy, housing, economic development and brownfields redevelopment. CVRPC is also widely known in the region for its extensive GIS and mapping program. 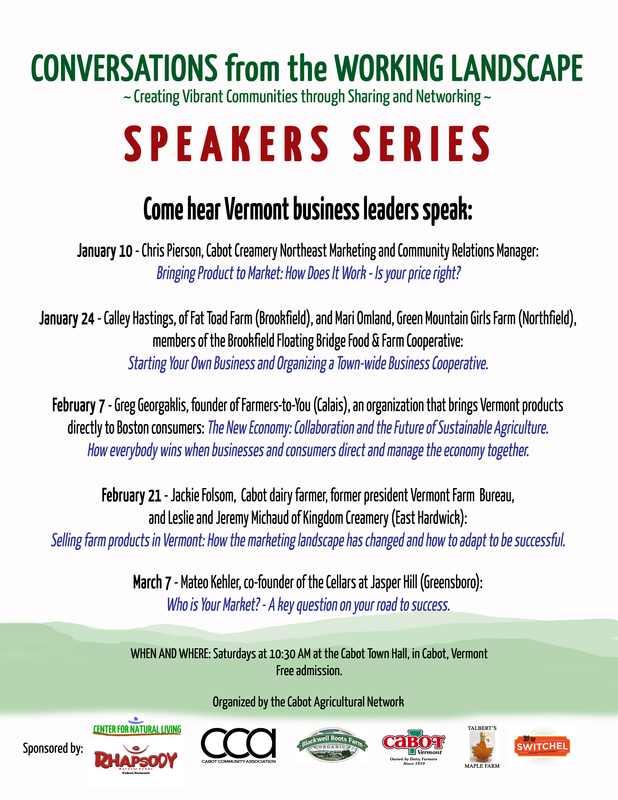 This winter the Cabot Agricultural Network has coordinated a Conversations from the Working Landscape Speaker Series, kicking off tomorrow morning at 10:30AM at Cabot Town Hall. Tomorrow’s topic is “Bringing Product to Market: How does it work – is your price right?” with Chris Pierson, Cabot Creamery Northeast Marketing and Community Relations Manager. For information on the remainder of the series, see the below flier.